Bespoke offers (run by Barclays bank) currently have an offer on where you can but a £10 Amazon gift card for only £5. You can then add it to your Amazon account and it won't expire for 10 years. This is limited to one per person, but if you have more than one bank card you can create several accounts and use a different card for each. I managed to get four (£40 worth of gift cards in total for £20!!). You don't need to be a Barclays account holder by the way, in case you were wondering. Double up this Christmas! Get a £10 Amazon.co.uk Gift Certificate* for only £5. Use your Amazon.co.uk Gift Certificate towards Books, Electronics, Music, and more. The Amazon.co.uk website is the place to find and discover almost anything you want to buy online at a great price. Your gift certificate is valid for 10 years from the date of issue (expires 20 November 2023), so spend it right away or add the gift card code to your Amazon.co.uk account and save it for something you really want. *Amazon.co.uk is not a sponsor of this promotion. 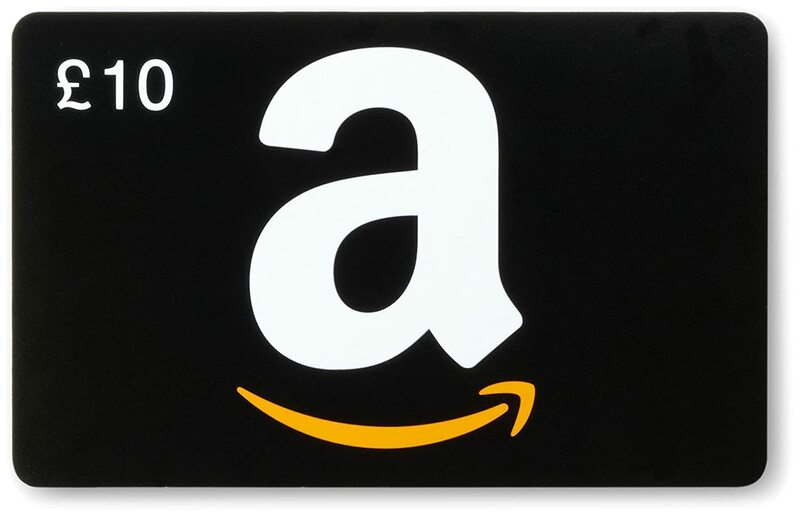 Amazon.co.uk Gift Certificates (“GCs”) may be redeemed on the Amazon.co.uk website or affiliated website Javari.co.uk towards the purchase of eligible products listed in their online catalogue and sold by Amazon.co.uk or any other seller selling through Amazon.co.uk. GCs cannot be reloaded, resold, transferred for value, redeemed for cash or applied to any other account. Amazon.co.uk is not responsible if a GC is lost, stolen, destroyed or used without permission. See www.amazon.co.uk/gc-legal for complete terms and conditions. GCs are issued by Amazon EU S.à r.l. All Amazon ®, ™ & © are IP of Amazon.com, Inc. or its affiliates. By the way it is very temperamental and sometimes comes up with 'this page is expired' or declines your card, but it does this for everybody. You just need to keep trying if it does this and it will eventually work. Trust me. Wow, just got 5, thanks! £25 for £50 worth of vouchers! Manage to get one of my cards to work for two separate accounts before it didn't work anymore, so it's definitely worth trying the same card more than once. Thanks for posting Dealbreaker!! Awesome find! I feel I should point out to people that if you keep trying and it says the card was declined, it might still take the money from your available balance in your online banking. But I'm assured by the website that these payments haven't actually been taken and will automatically go back into your available balance. They will only ever take one payment per purchase. Haha check this out - somebody's selling theirs on ebay and it's already up to £10.49?!! Who the hell pays more than £10 for a £10 Amazon voucher? ?